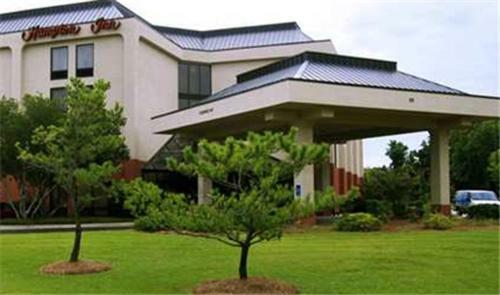 This hotel is a 5-minute drive from historic downtown New Bern, North Carolina and the Firemen’s Museum. 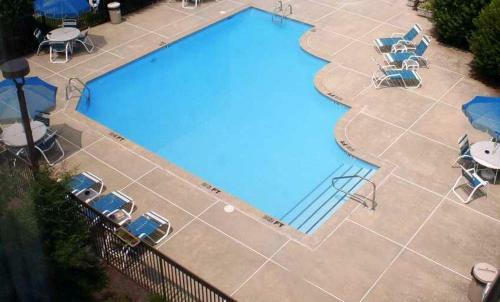 It features an outdoor pool and spacious rooms with a flat-screen cable TV. 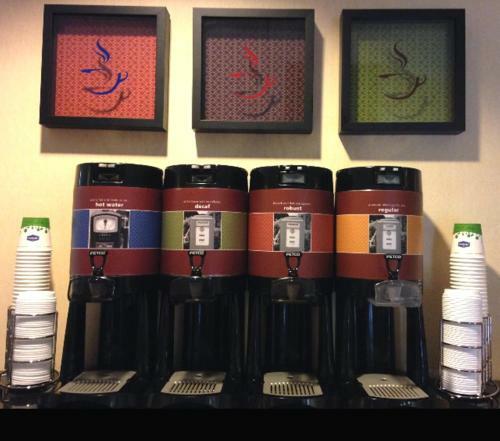 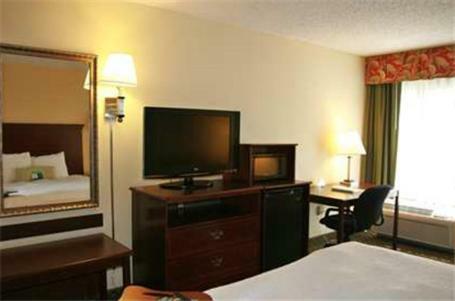 A microwave, refrigerator and coffee maker are standard in every room at the Hampton Inn New Bern. 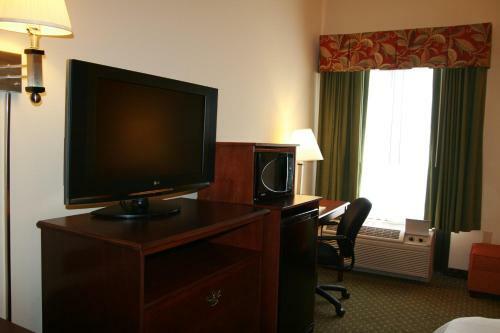 All rooms include free Wi-Fi and are warmly decorated with black furniture. 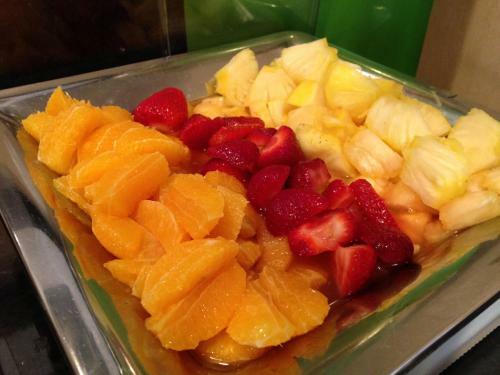 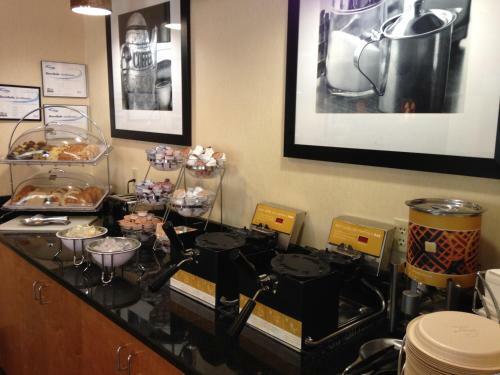 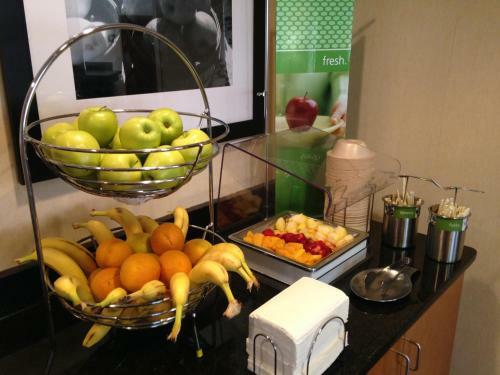 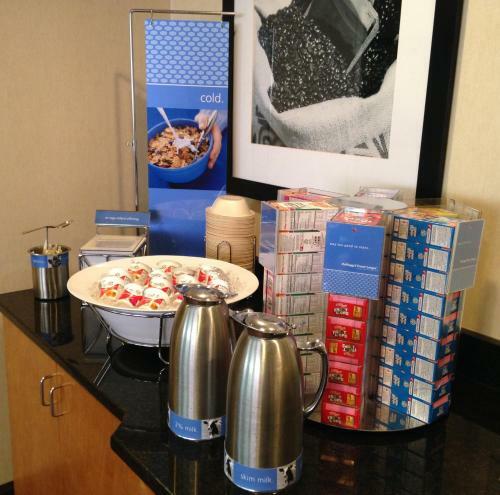 A daily breakfast buffet is served at the New Bern Hampton Inn. 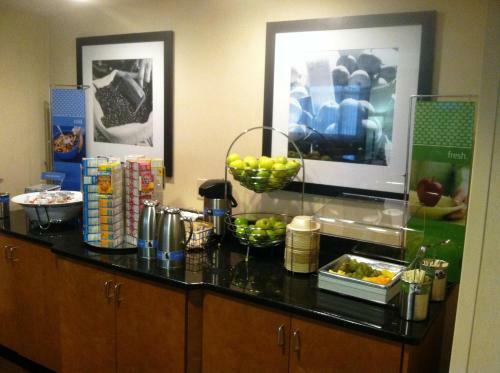 The variety includes eggs, meat, pastries, coffee, juice, and more. 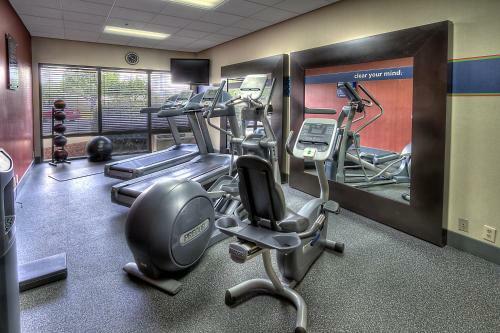 Free access to the jacuzzi and a small gym is provided to all guests of the Hampton Inn. 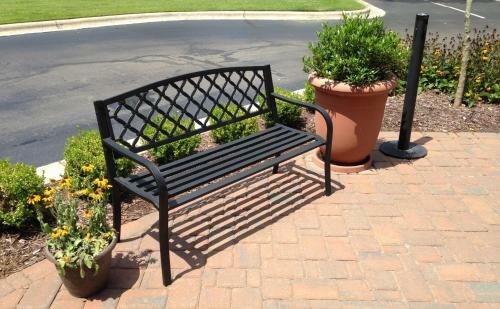 Parking is also free on site. 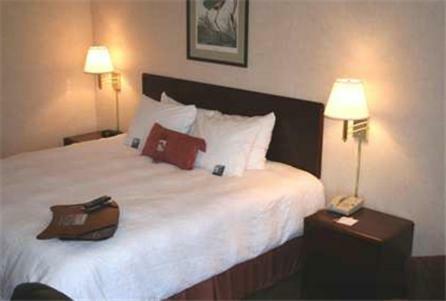 Rivertowne Square Mall is an 8-minute walk from the hotel. 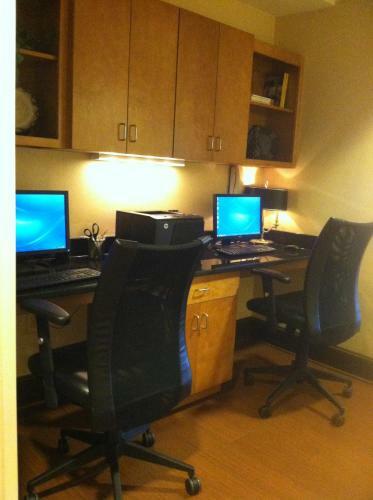 Emerald Golf Club is 2.5 miles away. 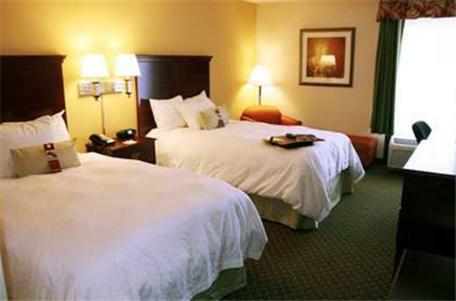 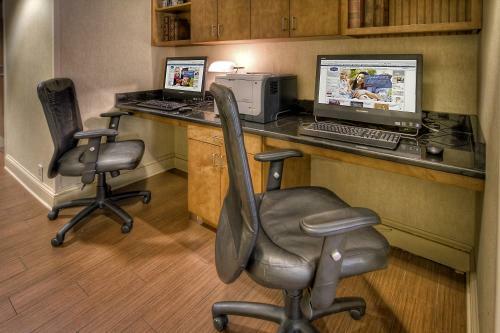 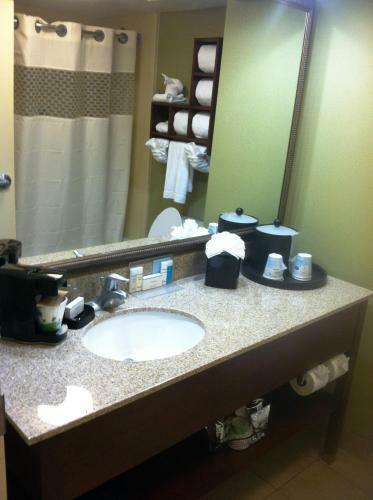 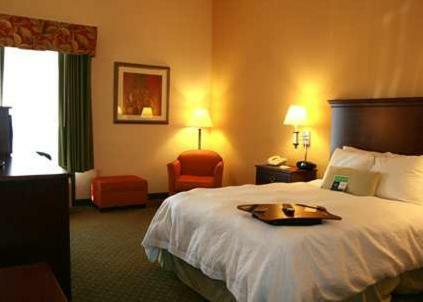 the hotel Hampton Inn New Bern so we can give you detailed rates for the rooms in the desired period.